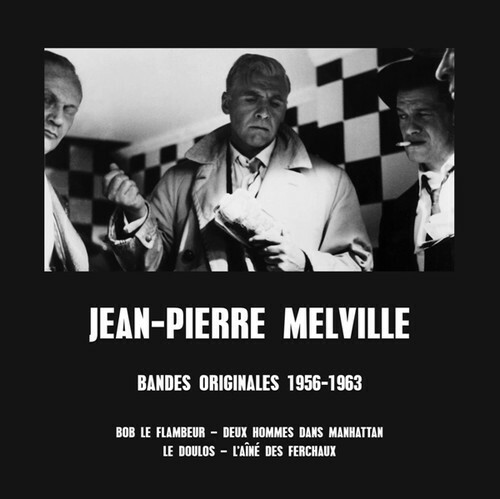 Jean-Pierre Melville, who took his stage name from his favorite American author Herman Melville, while a member of the French Resistance in World War II, was the spiritual father of the French New Wave. An influence on everyone from John Woo to Quentin Tarantino and Michael Mann, his crime films and thrillers are unparalleled in their brilliance and scope. Featuring work from four of his most brilliant films, Bob Le Flambeur (1956), Deux Hommes Dans Manhattan (1959), Le Doulos (1963), and L'aîné Des Ferchaux (1963), from various composers including the great Georges Delerue, this beautifully curated collection is full of tense, cinematic scores and the perfect complement to any film buffs fandom of the legendary Melville.